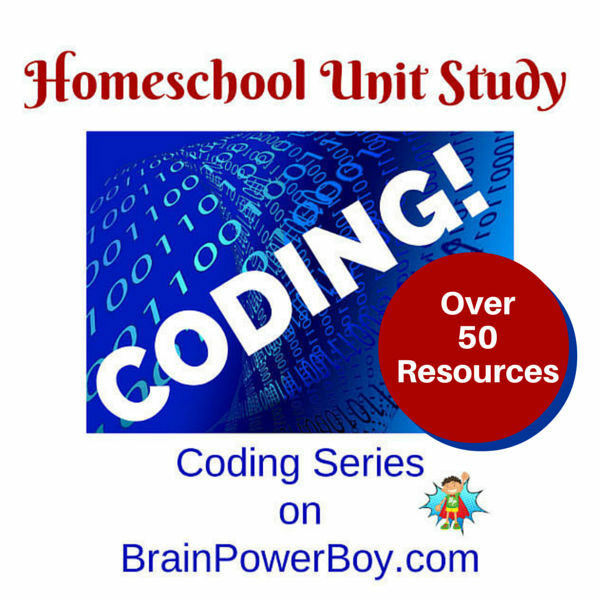 I went looking for some books to go with a coding series (link below) we just finished up here on Brain Power Boy. I am always on the lookout for the best books for boys! The series has over 50 resources with games, apps, computer programs to try, as well as activities for learning about coding offline and unplugged. The only thing missing was books. I am a book person; my husband and son are both book people. We really like to have a book in hand on a subject that interests us. There is just something about physical books isn’t there? I will never stop using them! I knew we needed to check out the coding books. There are not a whole lot of coding books that I would use with my son. 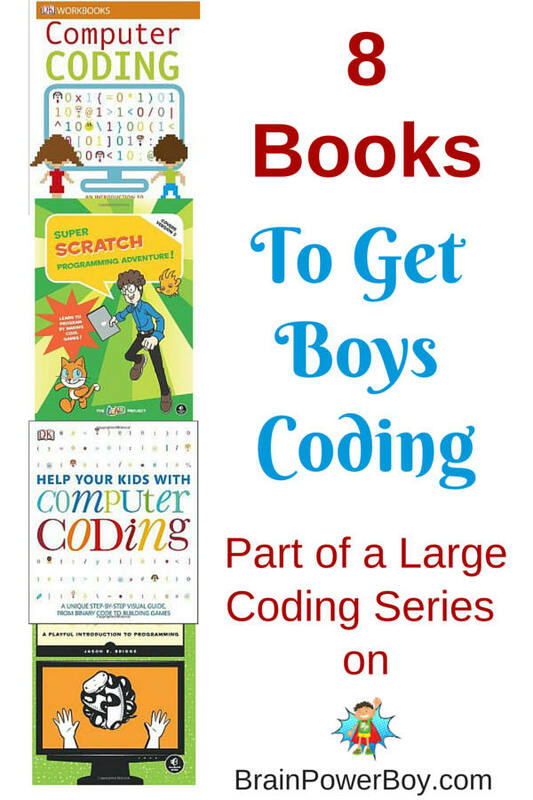 I would love to provide you with a big long list but I am fussy 🙂 At least you know that these are good coding books for boys! Help Your Kids with Computer Coding is the number one book I am recommending in this list. It is seriously packed with information. I like that it is very colorful and visually appealing. The book starts with Scratch which is a free program (see info on Scratch here) and moves on to Python. A very good overall book to have at home and one I think boys will really enjoy. Recommended. This DK Computer Coding Workbook is worth a look. It teaches the basics of Python. Has lessons, interactive activities and practice pages. It is also put out by DK which has a reputation for excellence. It is geared toward kids 8+ even though it looks like it would be for very young children–just wanted to point that out. Hate the name, love the book LOL. I do find these books to be helpful as they start at the beginning and seem to follow a good format for going through a topic in a way that one can understand. Coding For Kids For Dummies is no exception. Broken up into sections with small projects for you to do, this book covers a lot of ground. See our full review on Super Scratch Programming Adventure by following the link. It is a fun way for kids to learn Scratch! If your boy is more advanced in his coding abilities and still using Scratch he could try Learn to Program with Scratch. If ravenous monsters, secret agents, thieving ravens and ninjas sound up your boy’s alley this is a book to try. Python for Kids: A Playful Introduction to Programming is just that–a playful approach, which is something that we here at Brain Power Boy like a lot. This book covers the basics of programming such as strings, lists, if and else, loops and more. They also get into graphics. Worth a look for those who want to try Python. Ruby Wizardry: An Introduction to Programming for Kids is the third in this nicely done series. If you have a boy who is interested in Ruby this is the one to get. Follow the link to see the description what is in the book. I don’t speak Ruby. Don’t forget to stop by and see our whole big list of over 50 coding resources! It is worth a look. If you are interested in finding more books picked out especially for boys see our books for boys page.